You don’t have to be the best to score media coverage. 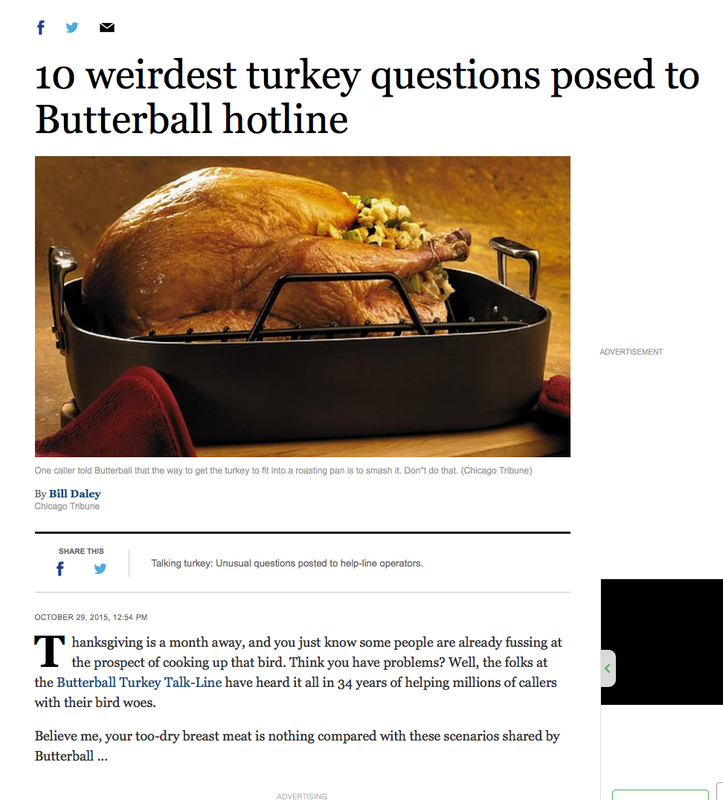 And you don’t need to be the most innovative or the market leader, although in the case of Butterball, name recognition helps. 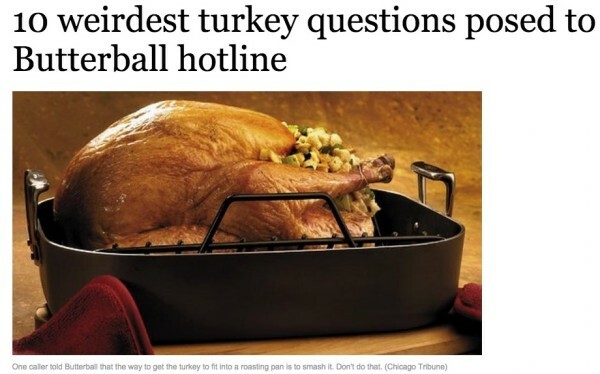 One of the country’s top producing poultry brands wins big by repurposing questions that come into their help line for some fun content at a time when interest in turkey is at a yearly high. 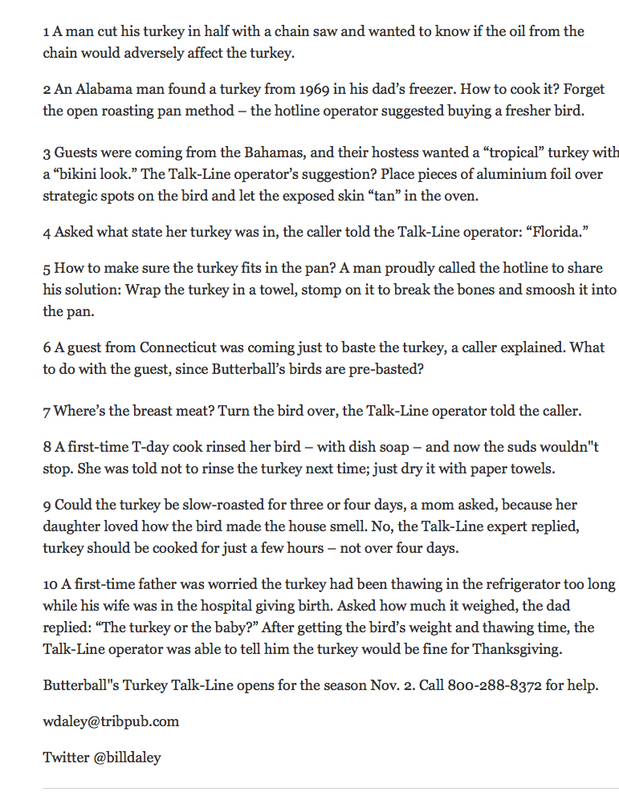 Well done Butterball, well done! One piece they netted (in the Chicago Tribune, no less) as a result of the campaign below, but if you search online, you’ll find a lot more out there.